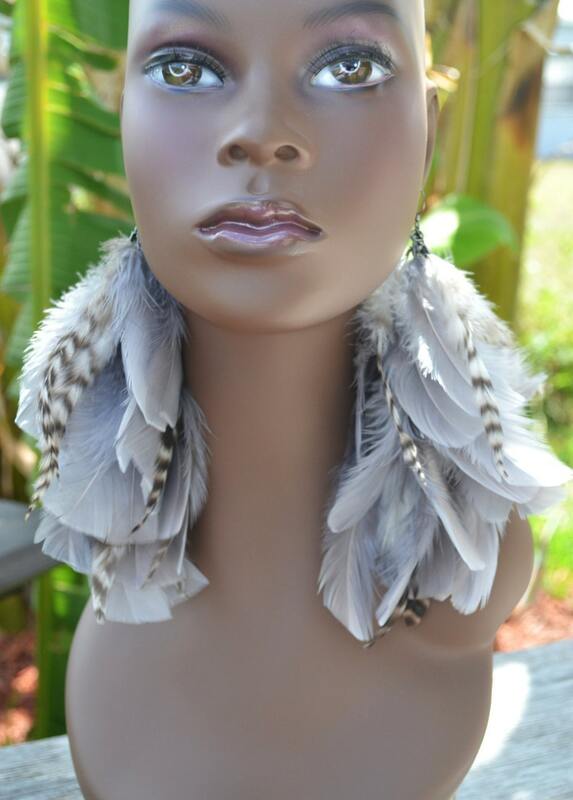 Earrings are made with gray feathers, grizzly feathers and silver chains. 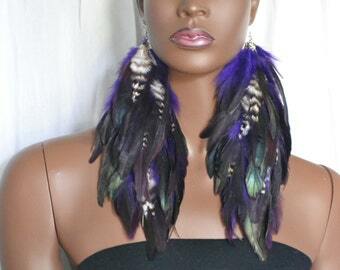 Feather earrings are about 7 inches in length and finished with ear wires. 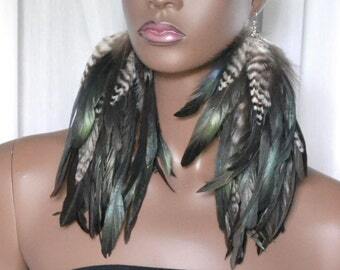 You can also purchase these earrings with white feathers with grizzly or black feathers with grizzly. OMG!!!!! Tiana these are the best earrings I've ever seen in my life. I only wish I found you earlier. When I opened my package I could not believe my eyes. You are an amazing designer!!!!! I took a picture of each one grinning from ear to ear. I looooooove my earrings. I'm not even dressed and I look stunning. When I where my short hair and fix my face....forget it...I'm gone stop traffic. I don't know how to do reviews so I'm sending you this and attaching all the pictures for you to post. 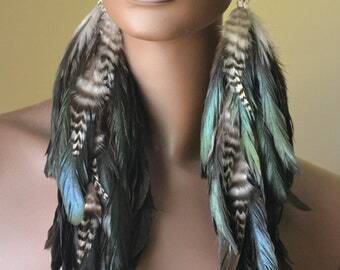 I will definitely be ordering more earrings after my 8 pairs. Not to mention how responsive you are and how you go over and beyond for your customers. I'm 49 years old and I'll only given 2 reviews and you are the 3rd. You faaaaaaar exceeded my expectations.